Tooth-Colored Fillings in Washington, D.C.
Tooth-colored fillings, or white fillings, are a safe and attractive alternative to metal amalgam fillings. Also known as "composite restorations," they are a desirable choice since they’re made to match the color of teeth and seamlessly blend with the entire tooth structure. White fillings are made of a light resin material applied as a soft putty that hardens in the mouth under a special light. 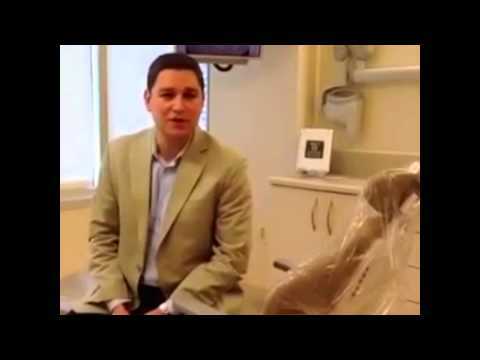 This cosmetic dentistry technique involves in placing white fillings call for a high level of clinical and technical expertise, which the skilled dentists of Washington Center for Dentistry have. Due to the technology in these fillings, when placed and bonded correctly, the tooth-colored fillings last a very long time. "Staff, waiting area, assistant and reception were outstanding! Service was timely and Dr. Fordjour was informative and gentle. Makes going to the dentist a breeze!" Prior to placing the tooth-colored filling, one of our dentists will first remove the decay and then clean the tooth. A primer, which opens the enamel’s pores, will be applied to the affected area. A bonding agent will then be applied so that the tooth-colored filling material can adhere properly. The filling material is placed inside of the tooth and then shaped to match the tooth. Afterwards, a light is used to harden the filling. The dentist will check your bite to make sure that the filling is properly applied and aligned. The filling is smoothed and polished and any needed adjustments are made. Retain their strength and integrity over time. Strengthen your natural tooth by being bonded to it. Help to prevent new decay by sealing the area between tooth and filling. Keep your teeth looking natural and beautiful. With tooth-colored fillings, you not only get the great preventative and restorative care that you have come to expect from traditional fillings, but you get the added element of a natural look. If you want nothing to do with the old-fashioned fillings of yesteryear, the dentists at Washington Center for Dentistry are proud to offer this aesthetic dentistry service. Transform the look of decay and cavities with tooth-colored fillings and no one will be none the wiser since they will match your teeth beautifully. We highly encourage you to give us a call to set up an appointment to come on in and see why tooth-colored fillings are truly so great.